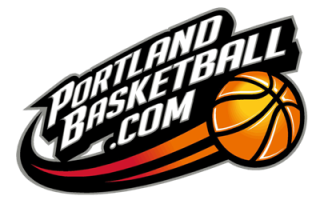 So... we came up with a system for open gyms- at PortlandBasketball.com whereby you will commit to a slot (time slot) per week but we will help you with your player-commitments per week (players who say they are IN)- with an online signup page (for your open gym- like you can see below)... and hopefully your open gym does not need us... but in the event your spots are not filling- we open the unfilled spots up to 'our people' so that the spots fill. The system is a sign up page (like the sample- that you see below) where your people simply enter their name (indicating they are 'IN' for the upcoming open gym). Restated benefits- you know who is coming, it always fills- you never have too few AND you also never have too many. You have the perfect amount of players every time. And in doing it this way- your open gym is more fun for players, easier on you the organizer- and works for us bc its RELIABLE rental that will not cancel randomly because they do not have enough palyers. Format of the games- these will be 5-on-5 full court games with big halves of 30 minutes per half (we wil not run 'first to 11', and 'I got next'). We use the clock- scoreboard- and the game (your open gym) will start on time like a real game. A gym supervisor will greet your group and force that game to 'get going on time'. You see, normal open gyms have 20 minutes (that they pay for)- where people meander, but using our gym supervisor, your players will get used to games starting right on time (and they will adjust- and they will be on time). You will get the same workout being in our gym for 70 minutes as traditional open gyms over 2hours time. Cooperation is required from all players; if your play is too physical (dangerous or unsafe), you will not be allowed to play in this. Players must bring a reversible white-black jersey.